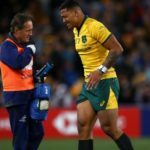 The Wallabies are sweating over the availability of Israel Folau and Bernard Foley ahead of Saturday’s Test against England at Twickenham. Flyhalf Bernard Foley has signed a deal to stay in Australia until the end of the 2019 season. Michael Cheika has made a solitary change to the Wallabies’ lineup for their Rugby Championship Test against Argentina in Salta. Michael Cheika could give the No 10 jersey back to Bernard Foley for the Rugby Championship Test against the Springboks in Port Elizabeth on Saturday. 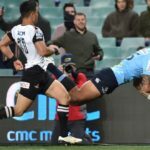 The Waratahs cemented their position at the top of the Australian conference with a 77-25 victory over a 14-man Sunwolves in Sydney on Saturday. DYLAN JACK reports. 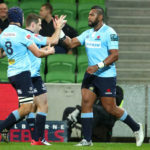 The Waratahs scored two second-half tries to claim a 31-26 victory against the Rebels in Melbourne on Friday. DYLAN JACK reports.